With its demonstrated ability to beat inflation and stability that it offers during periods of crisis (e.g. economic, financial, political), Gold continues to be an instrument of choice for Indian investors. One can invest in Gold as an asset by either buying gold physically or by investing in them electronically (e.g. by buying Gold ETFs or Gold Funds) – a better option as it simplifies the gold buying process, makes for safer accumulation of gold and provides better liquidity when selling it. Gold Exchange Traded Funds (Gold ETFs) are funds that invest in gold of 99.5% purity (bought from RBI approved banks). They are managed by fund managers who track daily gold prices and trade physical gold to optimize returns. The units of gold ETFs are traded in stock exchanges and offer high liquidity for both buyers and sellers. Retail investors can transact in gold ETFs by using their Demat accounts. Gold funds on the other hand are mutual fund schemes that mainly invest in Gold ETFs and other related assets. Investing in gold funds is simple and doesn’t require a Demat account. Gold funds do not directly invest in physical gold but take the same position indirectly by investing in gold ETFs. Pricing: Gold ETFs are priced transparently based on international gold prices. As Gold Funds invest in Gold ETFs and other related assets, their NAVs are dependent on gold prices as well as prices of other assets that funds hold. Though the value of Gold Fund portfolio closely tracks the value of gold the co-relation is not as high and transparent as Gold ETFs. Mode of investment: Gold ETFs can be purchased from stock exchange and require a Demat account whereas Gold funds can be purchased from mutual funds without a Demat account. Systematic investment plan (SIP): Gold Funds allow investors to setup SIP, Gold ETFs do not. Minimum investment amount: Gold Funds allow minimum investment of Rs 1,000 (as monthly SIP), whereas Gold ETFs typically require minimum investment amount of ~1gm gold which is close to Rs 3,000 at current prices. Transaction cost: Gold ETFs have NO entry or exit loads while Gold funds may have exit loads (generally upto 1 year). Expenses: Gold Funds have higher management expenses than Gold ETFs - Gold funds invest in Gold ETFs and hence Gold Fund expense includes Gold ETF expense in addition to other expenses required to run Gold Fund. Liquidity: Being listed on stock exchange Gold ETFs are traded in the market, and with no exit loads or SIP constraints, investors can buy or sell at any time during market hours; as mutual funds Gold Funds are not traded in the market and can be bought/sold based on NAV for the day. 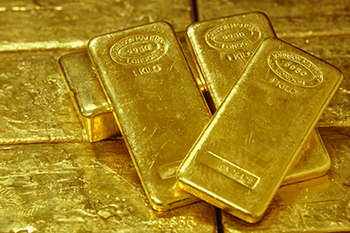 Both Gold Funds and Gold ETFs allow one to invest in gold electronically. Being a mutual fund Gold Funds are simpler to invest in (e.g. no Demat required, possible to set SIP, fund management provided), but they are also slightly more expensive than Gold ETFs. Gold ETFs on the other hand offer greater flexibility to manage your holdings – being traded in market you can buy/sell at your will and gain from volatility which is not possible in the case of Gold Funds. Depending on your comfort with trading, time commitment and expertise in the yellow metal, you can decide which of the two options is better suited for you. The Author, Mohit Singh is CBO at Finaskus.